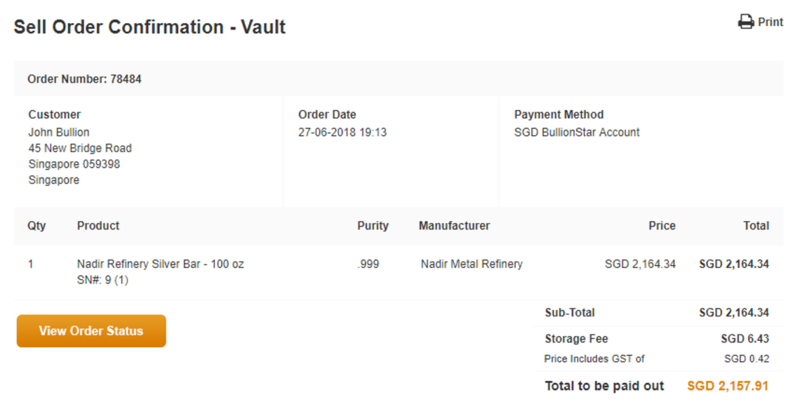 You can place an order online to sell your stored bullion any time. 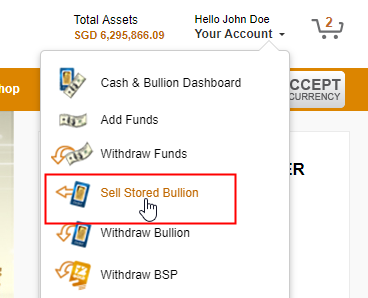 Step 1: Go to "Your Account" in the top right-hand side area of the website and click on "Sell Stored Bullion". Step 2: On the Sell Checkout page, enter the quantity you would like to sell for the respective products in the fields under the "Qty to Sell" column. Step 3: Choose how you would like to get paid and ensure that your customer information is filled in correctly. 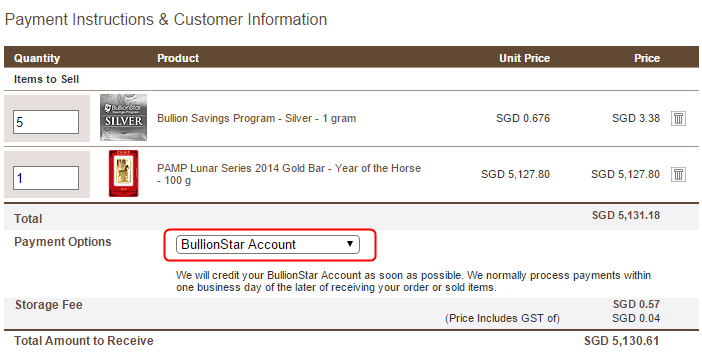 Select "BullionStar Account" as your payment option if you prefer to keep the proceeds from your sell order on your BullionStar account for future orders. 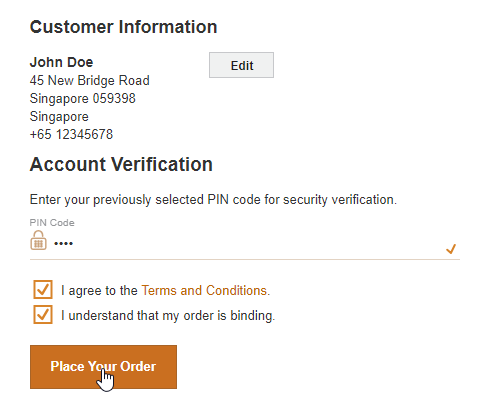 Step 4: Enter your PIN code, read the Terms and Conditions and check the checkbox if you agree to them. Also, check the checkbox to acknowledge that your order is binding. Lastly, click “Place Your Order” to submit your order. Step 5: An order confirmation page will appear. This order confirmation will also be sent to your e-mail and you will furthermore receive an SMS text message notification. Following this, BullionStar will process your order and initiate the payment to you. Step 6: BullionStar will send you an e-mail order status update when the payment has been initiated to you.